When it comes to signature barbecues, choose Beefeater. 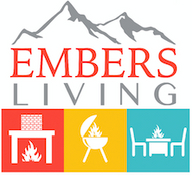 Embers Living carries Beefeater Products in stock ranging from a variety of free standing grills to stainless steel doors and bar centres. Beefeater also offers full BBQ island packages so you can get the grill setup of your dreams. With reliable and durable products, now is the time for you to upgrade your grilling experience. So start shopping with Embers Living today and get the best products that Beefeater has to offer.